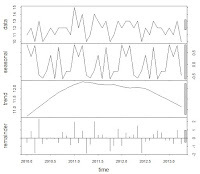 In the previous article of this series, we described basics about the time series and also enlisted the methods that can used for time series forecasting. Let's now learn the methods one by one in details. You HAVE TO read the following article(s) before reading this one, else it would not make much sense. 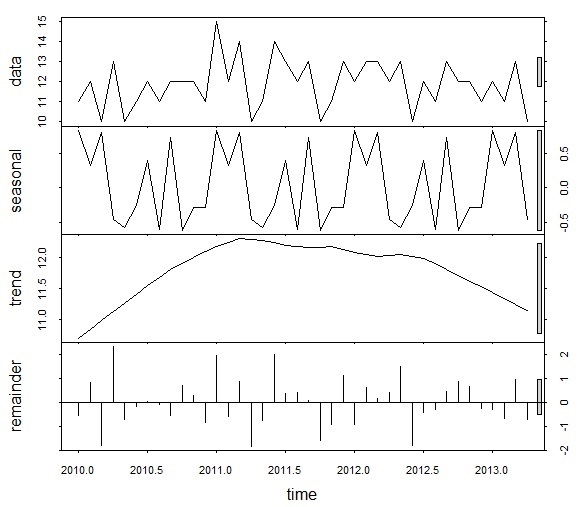 Smoothing methods are based on the principle of decomposition of the series, we decompose the series into its components : Seasonality, level, trend, etc. 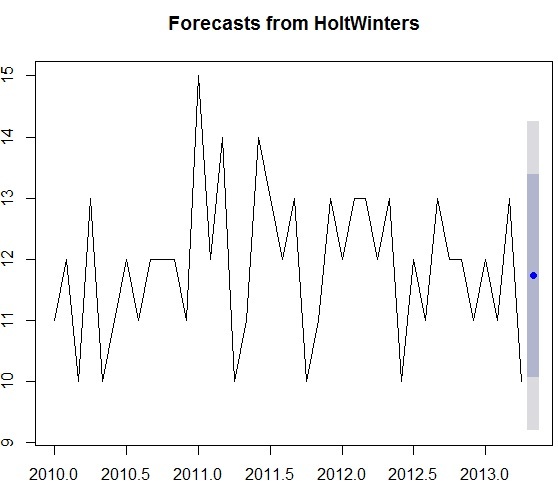 and then using the components we forecast. 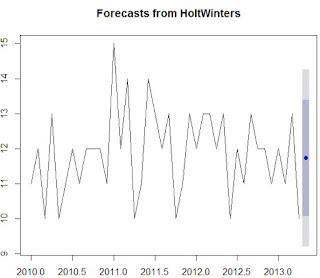 We will discuss it in more details, while covering Triple Exponential Smoothing (Holt Winter Method). 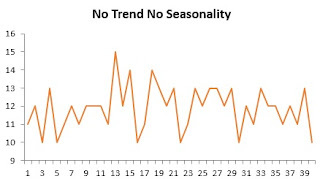 The method is used for a time series with NO SEASONALITY and NO TREND, such series are generally not very usual and not very interesting, but let's learn it for the sake of step wise learning. Please download the attached file to understand the process of SES forecasting in Excel. 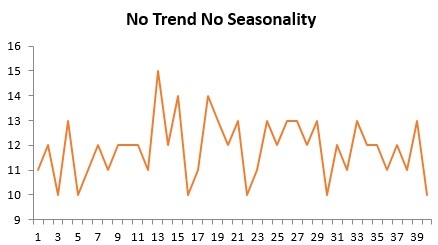 As you c find in the file, First in Sheet "Data Analysis" and "Seasonality Check", we have ploted the series to check the traces of TREND and SEASONALITY respectively. As we have found none, we performed SES in sheet "SES Calculations". 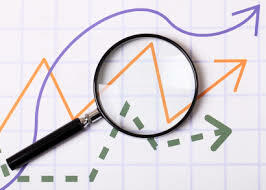 In Sheet SES calculation, monthly sales figures for 2010 Jan to 2013 Apr are given and we need to forecast for 2013 May. In Column F, we first calculated first level/intercept value using INTERCEPT function in cell F3. Then F4 onward the above stated equation has been used to calculate the levels. 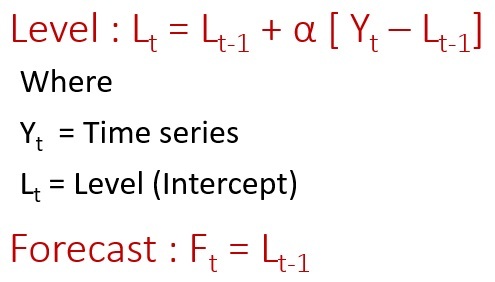 Using the Levels in column F, forecast value has been calculated in column G. The ALPHA value can be iterated in cell J3 (but only between 0-1) and MAPE (Mean Absolute Percentage Error), which measures accuracy of forecast, is being calculated in cell J6. 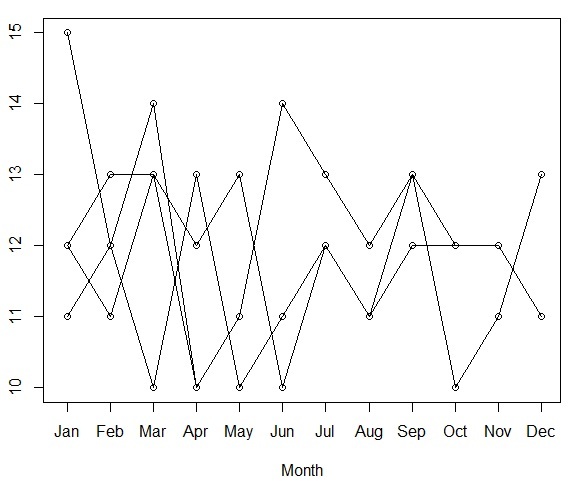 Proc import datafile = "G:\AA\Time Series\SES sales.csv"
Run the code and check the results. 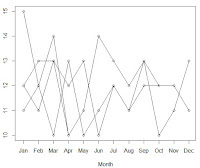 # Lets decompose the series and see if any trend or seasonality is there. # In these plots, we see if the series move together or not. If they do, they are seasonal, well in our case, definitely there is no seasonality. # and it is done ! The article has been written by Suyash Nigam with Rajat Agarwal as a co-author.